"They meet on the ledge of the school bell tower, and so their story begins". 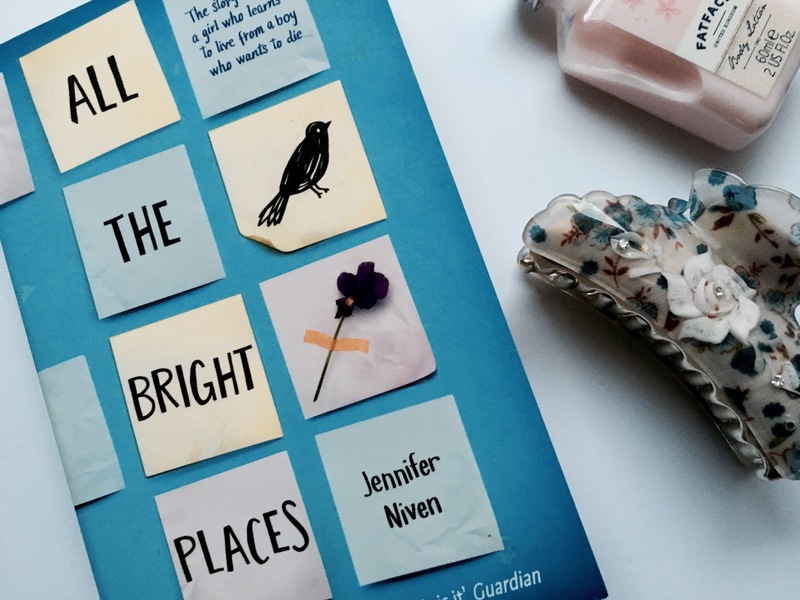 Recently I read the book All The Bright Places by Jennifer Niven. I was excited to read it because many people gave it great reviews, including Zoe Sugg. The book is described on the cover as 'the story of a girl who learns to live from a boy who wants to die'. The story is about two school students - Violet Markey, a popular girl devastated by her sister's tragic death, and Theodore Finch, who suffers from mental illness and could be described as being 'fascinated with death'. When Violet and Finch begin to work on a school project together exploring their state, they go 'wandering' together, and not only discover things about their local area, but also about each other. 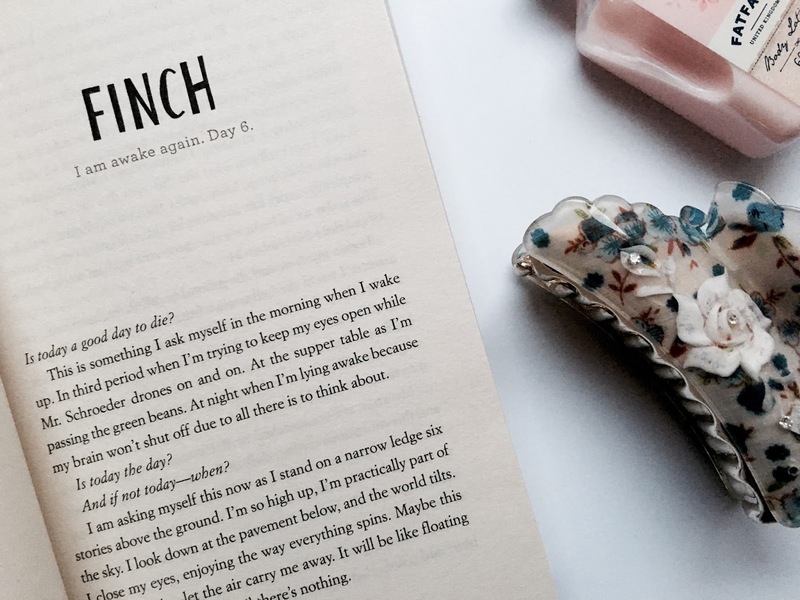 I enjoyed how each chapter changed between the points of view of Violet and Finch, although I much preferred reading Violet's parts - I'm not sure why, but I preferred her as a character much more than Finch, perhaps because I feel I didn't really connect to him as a character. 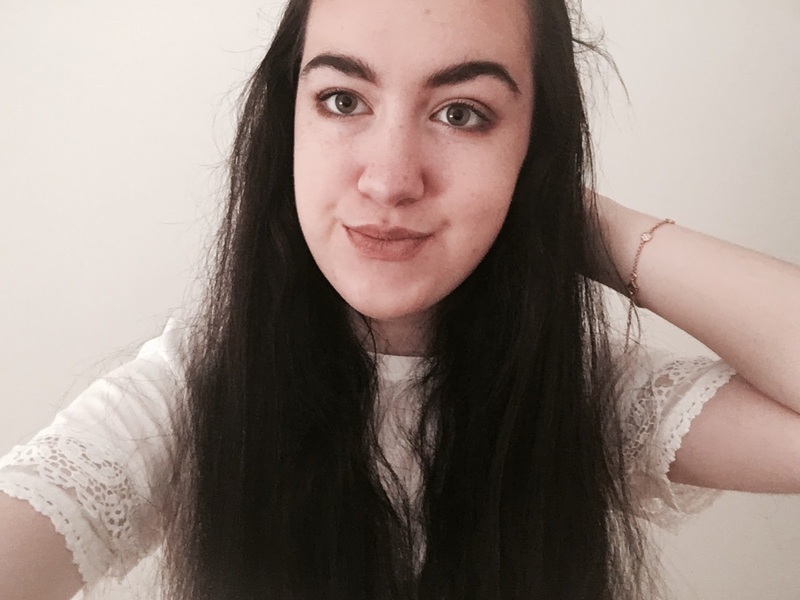 I've seen it described as 'The Fault In Our Stars meets Eleanor and Park' and I must agree, the book focuses on the romance story of two troubled teenagers, similar to both books, and also issues of death, similar to The Fault In Our Stars and feeling like you don't fit in, similar to Eleanor and Park. 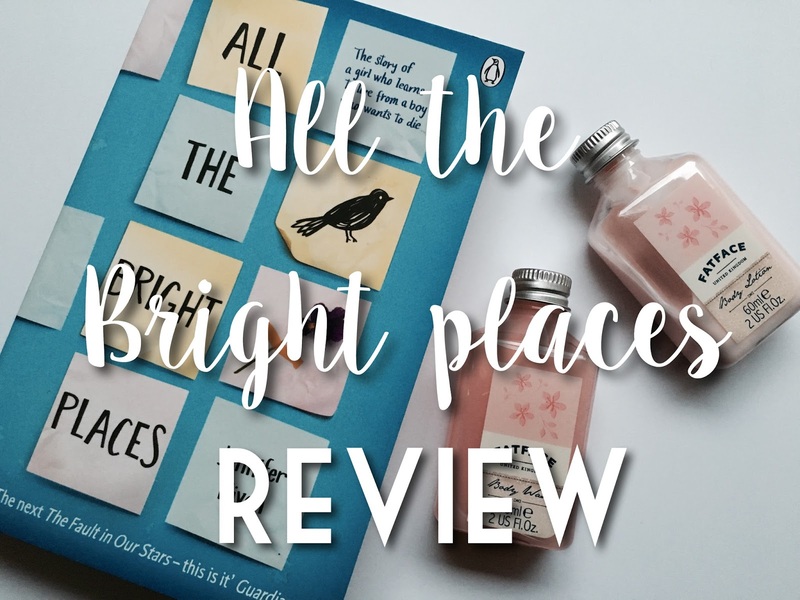 All The Bright Places is definitely a must read for readers of John Green and Rainbow Rowell. I really did enjoy this book. I couldn't wait to get home to read it everyday, so I think that says a lot about how much I liked it. Although I mentioned earlier I didn't love Finch's character, I really did like Violet and I feel like the story is the journey of her finding herself, and finding who she wants to be friends with, not who she is supposed to be friends with. A feature that I loved about Violet is her connection to writing because I feel like I could relate to her quite a bit. I definitely recommend this book to you all, and I would love to hear your thoughts on it if you have read it too!